Our friend Marc Berman notes that there will be a special 40th anniversary screening of The Homecoming: A Christmas Story on Friday night in New Jersey. 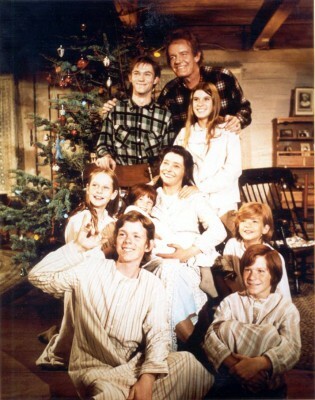 The movie that spawned The Waltons will be shown and will be followed by a special Q&A panel discussion with Richard Thomas, Mary McDonough, Judy Norton, Kami Cotler, Jon Walmsley, Eric Scott, David Harper, and David Huddleston. Some of those who didn’t appear in the movie but were in the series will also take part, including Michael Learned, Lynn Hamilton, Leslie Winston, Hal Williams, Ellen Geer, and Radames Pera. Tickets are $20 each. Hopefully, someone will film the event for those who aren’t able to attend. Feature film producer-director-writer Bryan Singer has been signed to direct and produce NBC’s reboot of the classic CBS TV series. Earlier this month, the network gave Bryan Fuller’s pilot script a greenlight. Fuller will continue as executive producer on the project which will be an hour-long drama instead of a half-hour sitcom. There’ve been rumors that Jeremy Renner would be taking over the movie franchise’s lead spot from Tom Cruise after the upcoming Mission: Impossible – Ghost Protocol. Extra reported that Renner said, “I’d be up for it, and Tom wants me to do it. I’d be happy to be a part of it.” Paramount however quickly snuffed out that story and said that’s not in the works. Yesterday, ABC reps denied the rumor that their freshman drama had been cancelled. They contend that, though they aren’t making any more episodes this season, the low-rated series is still being considered for season two. ABC ordered one additional episode bringing the total to 14 installments. According to TVLine, the cast and crew were apparently hoping to get a 15th episode but that didn’t happen. Production wraps in January and all of the installments will air by February. A new documentary, Trek Nation, airs tonight on the Science Channel. Produced and narrated by Rod Roddenberry, it’s about series creator Gene Roddenberry and the other people involved with the sci-fi phenomenon’s history. 1999: Half human/half demon Doyle (Glenn Quinn) died on Angel, but not before passing his visions power on to Cordelia (Charisma Carpenter). 1998: Eve Cleary (Rena Sofer) and Peter Burns (Jack Wagner) were married on Melrose Place. 1988: Good Morning, Miss Bliss debuted on the Disney Channel. It ran for one season and was reworked into the long-running Saved by the Bell. 1987: Starring Tom Bosley as a crime-solving priest, Fatal Confession: A Father Dowling Mystery aired on NBC. A regular TV series followed a couple years later. 1981: The Regis Philbin Show, a daytime talk show, debuted and then aired on NBC for five months before being cancelled. It was replaced by Diff’rent Strokes reruns. What do you think? Will you attend the Waltons event or, would you if you could? Does Singer’s participation influence your interest in a new Munsters series? What do you think about Extra’s report? Mission: Impossible: Jeremy Renner Replacing Tom Cruise in the Movie Franchise?